The Republic of Korea, also known as South Korea or the ROK, has a cabinet-level department called the Ministry of Culture, Sports and Tourism. In his official statement on the Ministry's website, the Minister of CS&T explains that "the Ministry of Culture, Sports and Tourism pursues policies in such fields as culture, art, sports, tourism, religion, media and promotional advertising." He promises that "Working to create the era of ‘Cultural Enrichment,’ we will produce cultural policies that will lead Korea’s creative economy and will make everybody happy." What can you say about a government ministry whose goal is to "make everybody happy?" Considering the success that the ROK has had in developing its extraordinary tourism infrastructure and increasing its ITA numbers by over 30% in the past 3 years, you can certainly say that the MCS&T is doing a fine job with the "T" part of its portfolio. One of South Korea's most exciting tourism opportunities has resulted from its successful bid to host the 2018 Winter Olympics. As it prepares for the games and strives to reach its goal of 17 million ITAs by 2018, South Korea is sure to provide great business opportunities for ambitious travel consultants, MICE planners, tour operators, travel writers and other travel industry professionals. To take advantage of these opportunities, you may want to familiarize yourself with the South Korean tourism industry. The best way to do that is to start by becoming familiar with the excellent websites for travel and tourism professionals maintained by the MCS&T and other government tourism promotion organizations in the ROK. The is the official website of the national ministry that administers and promotes culture, sports, and tourism within The Republic of Korea. The MCS&T site is straightforward, not glitzy; but full of information about historical sights, museums, special events, public attractions, transportation and other matters of importance to travelers and tourism professionals. The site includes detailed information about Korea's plans for the 2018 Winter Olympics, and other tourism industry development projects. The Korean Tourism Organization implements the MCS&T's tourism promotion policy initiatives. The KTO's primary website, Visit Korea, is well-designed, attractive, comprehensive and easy to navigate. It is oriented toward tourists, but links to a separate site for MICE planners, called Korea, Beyond Meetings. 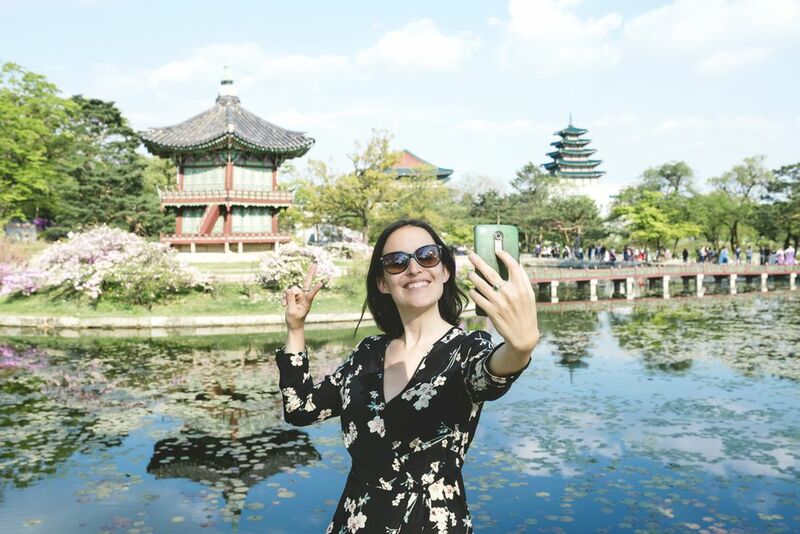 The Visit Korea site describes some of the features that make South Korea one of the most tourist-friendly nations in the world. These include nearly three dozen Travel Information Centers and Foreign Language Help Centers, located near popular tourist attractions throughout the ROK. E-books and brochures are available on the site. There's even a Visit Korea app and a KTO YouTube channel. The Visit Korea landing page offers a choice of languages, including two English versions. English readers should look at both because they offer different formats and information. The Korea Tourism Organization's site for convention and meeting planners not only describes the infrastructure and assets that make South Korea an attractive venue for MICE professionals, it also provides access to an array of services to assist planners who want to market the Republic's convention, meeting and recreational facilities to their clients. Maintained by the Seoul Metropolitan Government, Visit Seoul is the official online travel guide to South Korea's capital city. The site contains comprehensive information about the city's major attractions, activities, food, accommodations, shopping, and special events. In addition to basic information about visas, transportation, and customs, it includes maps, free downloadable e-guidebooks, and itineraries for themed tours including walking tours. The site describes Seoul's six UNESCO World Heritage sites. It also has a page with links to non-governmental tourism Web sites. Visit Seoul features pages providing detailed information about two popular niche tourism specialties: medical tourism and "Hallyu." Seoul is proud of its growing medical tourism industry, which offers a mix of traditional and modern treatments. "Hallyu" refers to the international appetite for Korean pop culture, including Gangnam style and K-pop. The medical tourism and Hallyu pages link to a couple dozen related websites. Travel consultants who want to stay informed about upcoming events and opportunities can sign up for Visit Seoul's e-Newsletter. It offers an events calendar and articles about tourist attractions, activities, and amenities. Back issues, available on the Visit Seoul site, are a great resource for in-depth information about particular attractions. This is a satellite site of the tourist-oriented site, Visit Seoul. It focuses on helping MICE professionals market Seoul for meetings, conventions and incentive travel; and it includes special contact information for MICE planners who want assistance from the Seoul Metropolitan Government. This site can be an important tool for trip planners and travel consultants whose clients want to get away from cities, museums and historical sites. It provides educational materials, images, research information, and virtual tours of South Korea's national parks. Reservations for park facilities, shelters and campsites can be made on the website. The Jeju Special Self-Governing Province of the Republic of Korea is a resort island south of the Peninsula. Also known as "the Island of the Gods," Jeju's natural wonders include the Jeju Volcanic Island and Lava Tubes UNESCO World Natural Heritage Site. The site, popular with geotourists, includes the world's finest lava tube system of multicolored caves; a dramatic landscape with a fortress-like tuff cone rising out of the ocean; and Korea's highest mountain, with waterfalls, multi-shaped rock formations, and a lake-filled crater. Jeju also features picturesque villages in a green, eminently hikeable countryside; a temperate climate; resorts, meeting facilities and golf courses; a small but lively capital city; and port facilities that attract international cruise ships. In fact, some luxury lines have announced additional plans to call on Jeju. The island is also a favorite vacation spot for Koreans and foreigners. The JTO website provides information about all of the island's tourism opportunities.